Steam Locomotives built in San Francisco! Four known survivors are among the 100 or so locomotives built in San Francisco in the late 1800s. 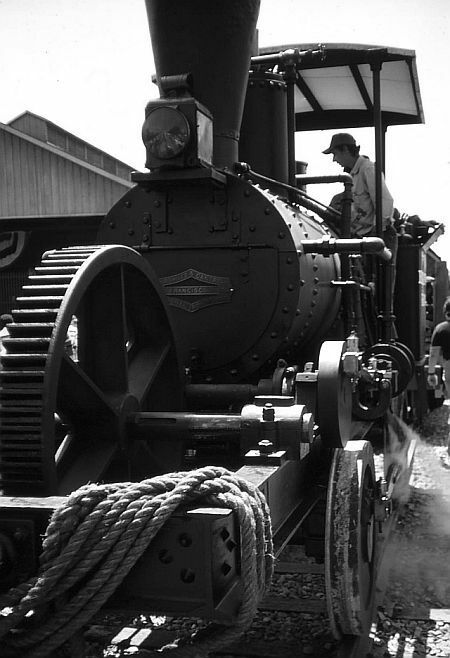 The oldest is the Oregon Pony, a Vulcan (SF) locomotive from 1861. This list does not take into account street cars, horse cars, cable cars or other RR cars built in SF. Noted as building at least 4 locomotives (steam rail cars). Operated between 1863 and ~1876. Built an engine in 1865 (steam car) for the Napa Valley RR. Built machinery, marine engines and locomotives during the 1870s. Builders of rod and geared locomotives during the 1880s and 1890s. Built locomotives between 1887 and 1890. Electric locomotive builder. Built a wooden Steeple-cab for the Petaluma & Santa Rosa RR (#1004) in the early 1900s. May have originally been Fulton Iron Works, believed to have become National Iron Works. 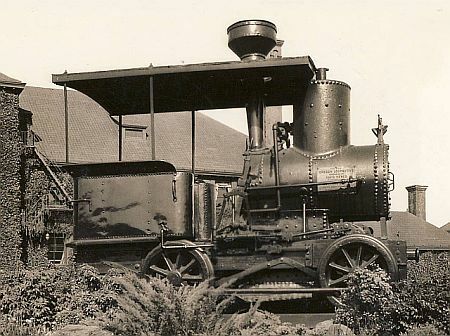 Built light logging locomotives in the 1870s and 1880s. Built one locomotive in 1874. Locomotive builder between 1850 and ~1900. Became Rankin, Brayton & Co. in the 1860s. Industrial locomotive builder from 1882 to 1911, bought by Union Iron Works. Dates back to 1879, first locomotive built 1886, ceased operation ~1890. Partnership of Edward A. Rix and J. K. Firth, also did business as Phoenix Iron Works. Builders of small geared locomotives, including the 10 ton 0-4-0T "Betsy" for the Madera Flume & Trading Company. May have been H. J. Booth & Company, may have become part of Bethlehem Steel. Built engines for the San Francisco & San Jose RR, the CP RR and others. Roster available - R&LHS Bulletin #68, Built ~30 engines between 1865 and 1882. Included 4-4-0s, 0-6-0Ts, 0-4-0s, 2-6-0s, 0-4-0Ts, 0-6-0s for a variety of shortlines and the V&T RR. Built eleven locomotives in the 1860s. 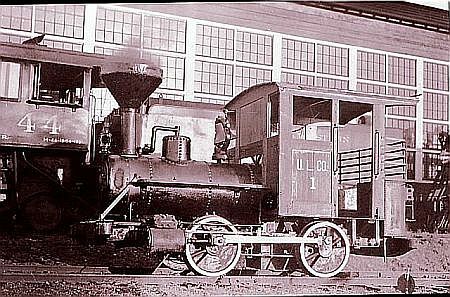 2-2-4 steam car for the Napa Valley RR "Calistoga"
0-4-0 geared, City Grading Co, SF, "Jumbo" - last engine built by Vulcan Iron Works. Note - company went bankrupt in May 1871, and was not related to Vulcan Locomotive Works - Wilkes Barre, PA. Later located at 1840 Kearney from 1921 to 1928. 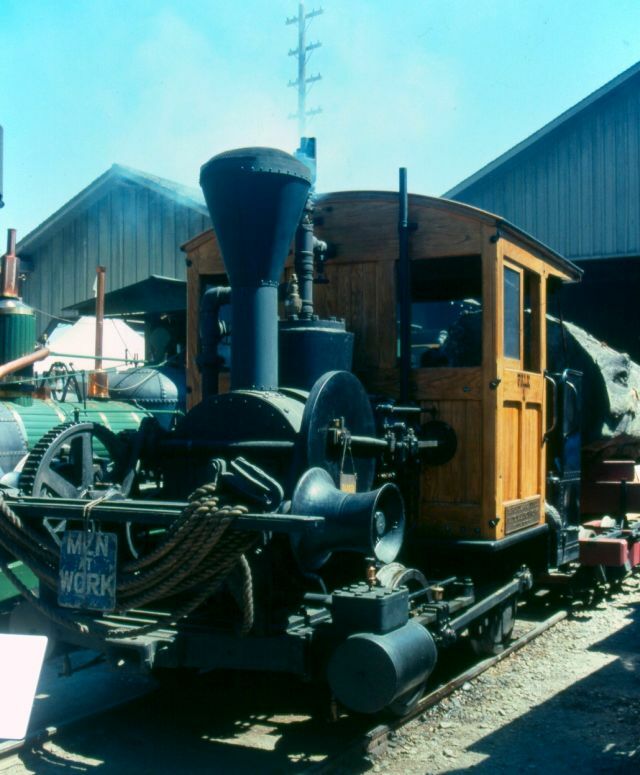 May have built the first locomotive in SF called "Pony", appears to be 0-4-0, about 1859! 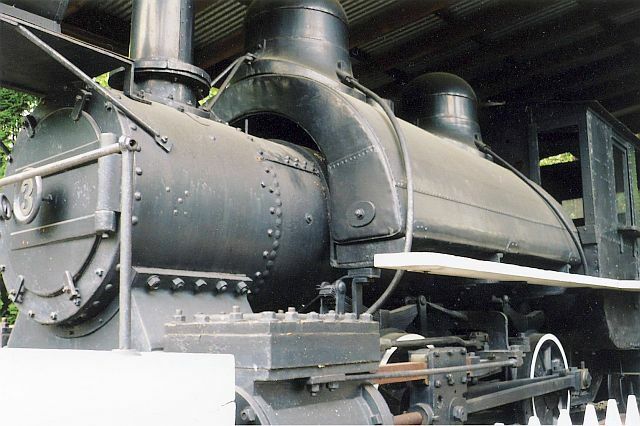 While this locomotive was not built in San Francisco, she was an early Baldwin locomotive that was used in San Francisco (Market Street Railway of San Francisco #2).